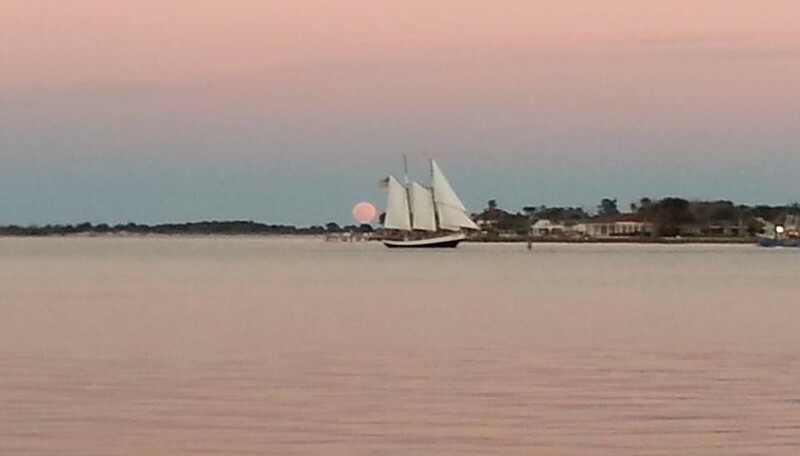 Enjoy the beauty of St. Augustine bathed in moonlight, listen to the waves lap the hull, dolphins surfacing, and the distant hum of the sea buoy. Live music sets the mood. This sail takes place every Friday and Saturday weather permitting. Check out our specialty Full Moon Sail as well!